In other words, it goes viral. 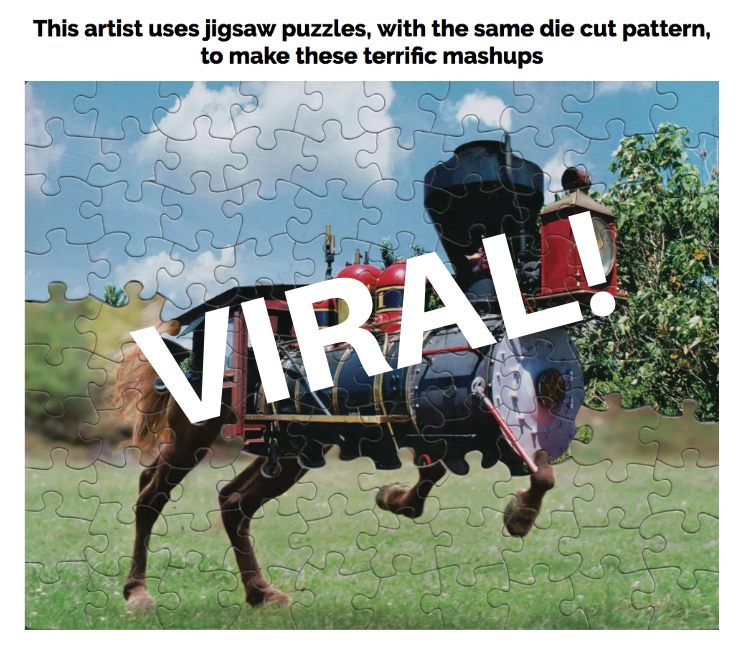 Now, on November 11, I blogged about Tim Klein's "puzzle montages" and I believe it's the most-viral post I've written in my over-seven-year professional blogging career. While I don't have the exact numbers, I have been watching it quickly spread across the planet and I feel certain that it is. Today, I thought it would be fun to pull back the curtain a little to show you what "going viral" looks like from "backstage."